We are a family run business owned and operated by the original company founders who have been leading the RV movement for over 40 years. Our super rv centre head Office and Sales Dealership is situated at 183 Main South Road in Sockburn, which is the main arterial route to and from Christchurch. As a company we are proud to be the only authorised South Island agent for Leisure Line caravans. These stunning caravans are a superbly made luxury caravan built in New Zealand for our unique conditions. Our caravans can be manufactured to your personal specifications, floor plan layout and decor requirements. We have a huge on-site parts and accessories department which showcases almost everything you may need for your caravan or motorhome. We are the exclusive Camec Store for the Canterbury / West coast area, Camec are the leading suppiers to the RV industry throughout Australasia, plus we also stock the best products from other select suppliers. We have a on-site workshop and accessory fitting service. 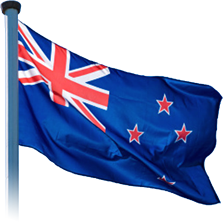 For our customers who have purchased and are tripping around New Zealand we have contacts in Invercargill, Dunedin, Nelson, Blenheim, Wellington, Levin, New Plymouth, Tauranga, Hamilton, Auckland and further North, so if you need help just let us know and we will put in contact with someone to look after you. Please feel free to browse through our website. If there is something in particular you are looking for, or if we can help in any way, please feel welcome to contact us. Regards Tony Stuart and the team at Christchurch RV Centre.